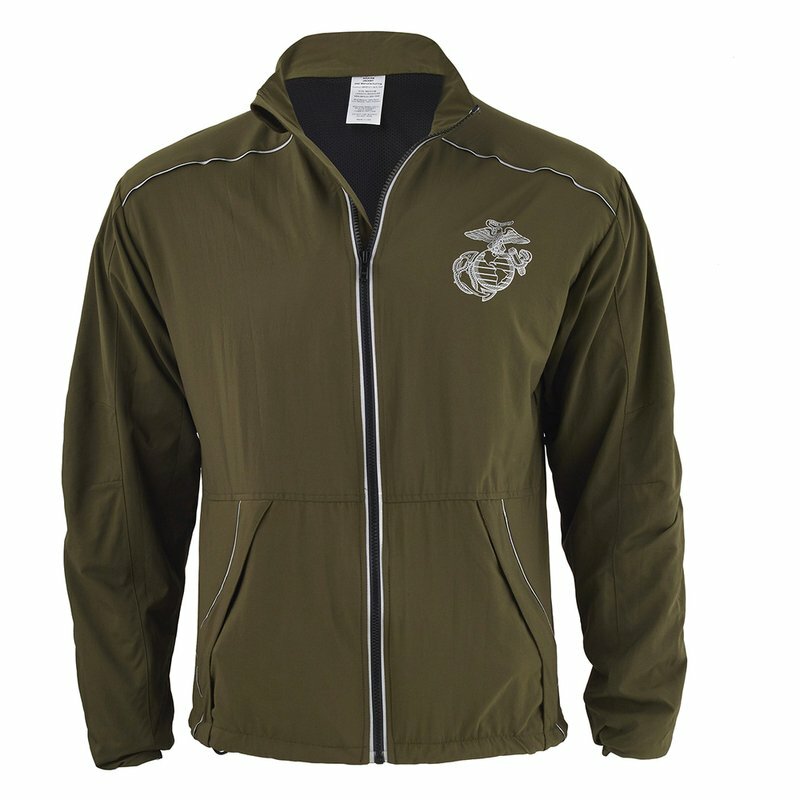 The Marine Corps running suit is comprised of a green Jacket and Pant with reflective piping material and inserts. A silver Marine Corps emblem is located on the left breast of the Jacket. 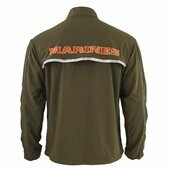 There is a scarlet and gold "MARINES" on the upper back portion of the Jacket. The running suit was not designed to be form fitting. Machine wash in cold water with like colors. Tumble dry low and remove promptly. Warm iron if need and do not iron over logo. Do not use fabric softners or sheets. Do not use chlorine bleach. 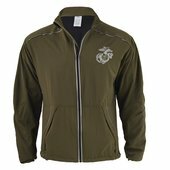 The full running suit or individual components may be worn with any component of the PT ensemble (defined as the running suit, general purpose trunks and green undershirt) for PT leave and liberty situations only. At no time should the olive green sweat suit be worn with the running suit components. The wear of the reflective belt (during hours of daylight or darkness) with the running suit is a safety issue and is up to the commander.